We have visited this restaurant about 20 times over the past decade. The spring rolls, chicken tei ban and prawn chop suey are so fresh and tasty!!! Very basic style restaurant and never very busy but worth a visit. We love it! Food is nice, big portions. As with most of the restaurants in Rincon, a bit of investment wouldnt go a miss!! 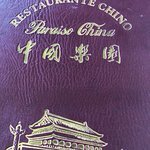 Been to Restaurante Chino Paraiso de China? Share your experiences!